Decemberists front man Colin Meloy can add “young adult author” to his resume when his new book, Wildwood, is released on August 30. I added the “young adult” qualifier, because this book is actually not Colin’s first foray into the world of publishing, some folks might remember that he previously penned a volume in the 33 1/3 series about The Replacements Let It Be. 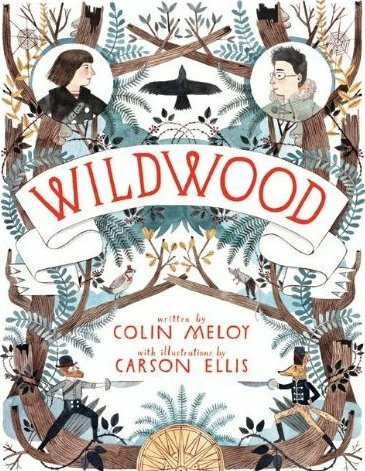 In support of this book, Colin and his wife Carson Ellis, who illustrated Wildwood, will be doing a select number of book readings and events around the country. I hesitate to call this a book tour, because at this point, I can only find three dates, one of which happens to be at Barnes & Noble Union Square on September 26, 2011. If you’re curious, you can also “Like” Wildwood on Facebook and receive a free download of the first four chapters. More Wildwood “book tour” dates (as I now know them) and video trailers for the book after the jump.